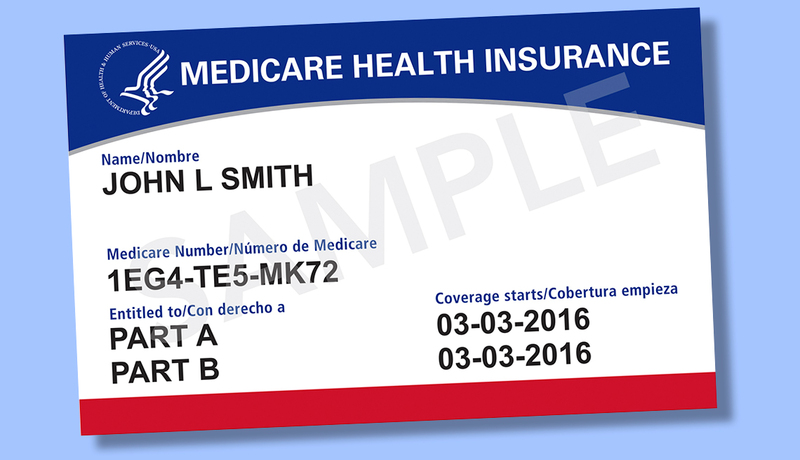 The new Medicare cards have an 11-character, randomly assigned number that has no connection to a beneficiary’s other personal data. If you live in Delaware, the District of Columbia, Maryland, Pennsylvania, Virginia and West Virginia, you are scheduled to receive your new Medicare ID card between April and June. The Centers for Medicare and Medicare Services (CMS) announced the seven-stage rollout schedule for the replacement card, which has been redesigned to prevent fraud. The card is still red, white and blue, but it no longer includes a Social Security number, gender, signature or other personal information that could compromise a Medicare beneficiary’s identity. The new cards have an 11-character, randomly assigned number that has no connection to a beneficiary’s other personal data. Medicare has until December 2019 to get recipients their new card. Before the mailing begins, beneficiaries should make sure their addresses are correct. If you need to make a change, contact the Social Security Administration, which will be preparing and mailing the cards, at ssa.gov/myaccount or by calling 800-772-1213. CMS also wants beneficiaries to beware of anyone who contacts them about their replacement Medicare card, as scammers have already targeted recipients with new ploys. CMS officials say they will never ask a beneficiary for personal or private information or for any money as a condition of getting a new Medicare number and card.